The FCT Minister, Malam Muhammad Musa Bello has re-emphasised his commitment to the completion of on-going infrastructural projects, aimed at adding value to the lives of the residents of the FCT. He made the assertion in a statement signed by the Chief Press Secretary to FCT Administration, Anthony Ogunleye. “It is better to complete a project and take it off the budget than to poorly budget for a project and not be able to complete it and have to budget for it again. Our priority is to complete on-going projects. “ It is also always better to complete on-going projects because if you don’t do so, no matter how much you spend. 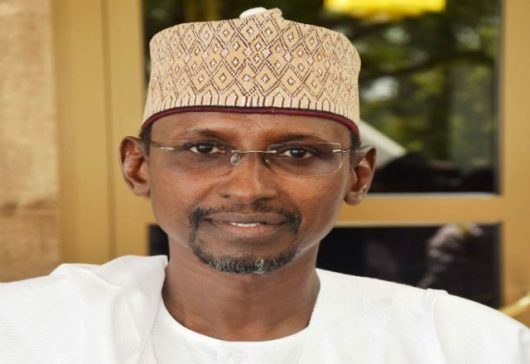 “As long as the project is not fully completed, the city and by extension, the residents of the FCT will not fully be able to get real value for government intervention in infrastructural projects,” the statement quoted the minister. It added that the Minister revealed that a total of 30 projects which include the provision of primary infrastructure (road, water, sewage and power supply) to mass housing districts, provision of engineering infrastructure to several districts, payment of counterpart funds, construction of the Abuja rail mass Transit (LOT1B), Abuja Rail Mass transit (LOT 1and 3), completion of the International Technical and Vocational Institute Utako and four comprehensive science and technical colleges in Abaji, Kuje, Gwagwalada and Karshi amongst others are contained in the 2019 budget proposal. On the performance analysis of various projects under the 2018 FCT National Budget, the Minister revealed that while a total of N32, 298,122,862.00 was appropriated the sum of N9,689,436,861.77 which represented about 30% was actually released. He however expressed optimism that further releases will be made considering that the FCT budget commenced late and is still running. Responding to comments and questions from the Committee members, the Minister expressed the appreciation of the FCT to the Gurara Community in Niger state for the inter-basin transfer of water which he said commenced in February and also promised to look into other matters including the LEA school in Wuye which currently shares the same premises with the Federal Government Boys College. Speaking earlier, the Chairman of the Committee Hon. Emmanuel Yisa Orker-Jev lamented the non-release of funds to the FCT and promised to engage relevant committees of the House to increase budgetary allocation of the FCT.